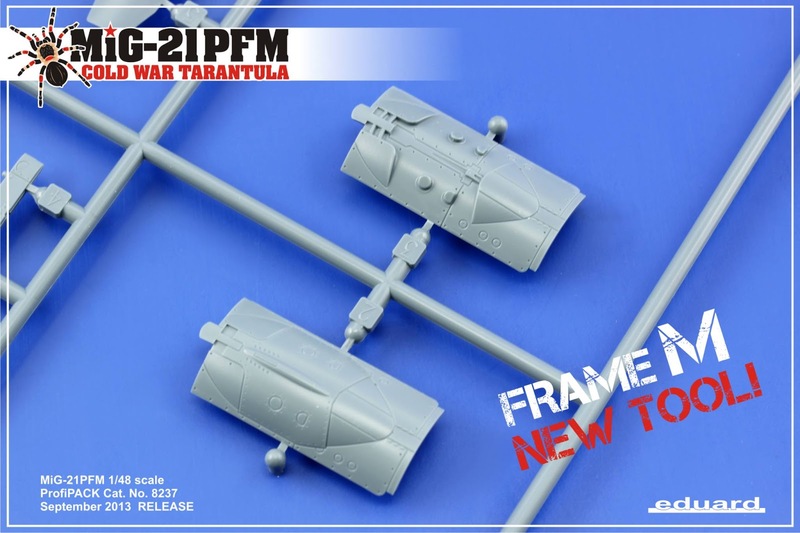 Eduard has shifted gears from focusing on the Spitfire to now the Mig-21PFM in 48th scale. This rendition of the famous cold war warrior isn’t just a re-hash of their earlier kits of this type – it is a mostly new kit – only having shared some common elements with it’s brethren – Eduard have sent some info and an excellent “instructional" Video as well – enjoy! 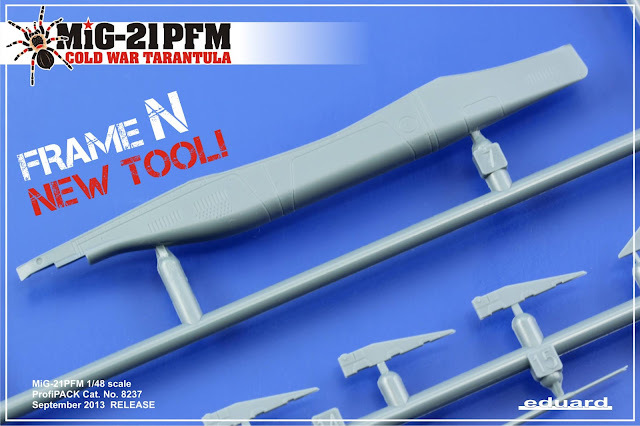 This is the boxart of September new kit, the MiG-21PFM in 1/48. 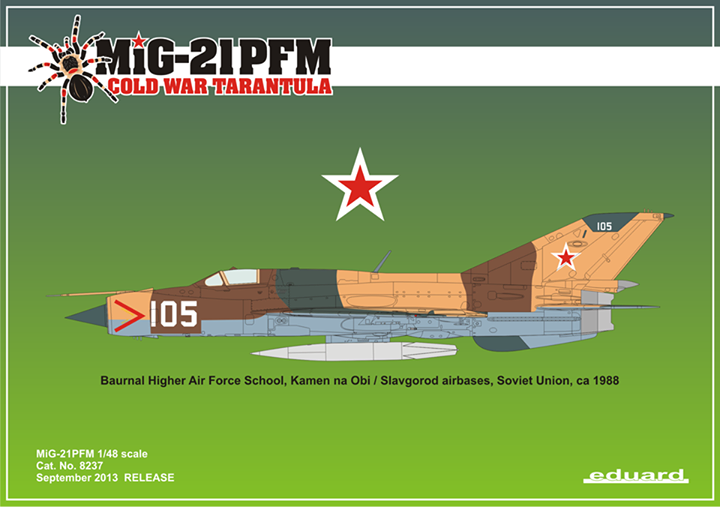 The MiG artwork by Katerina Borecka. 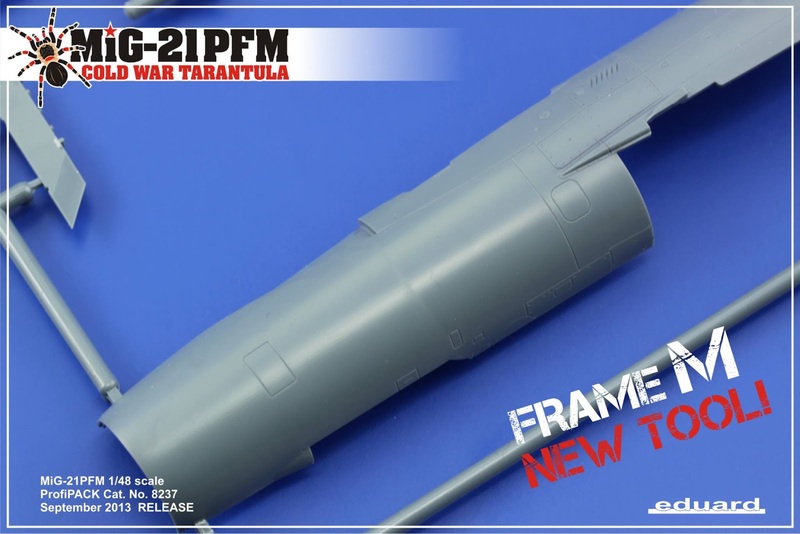 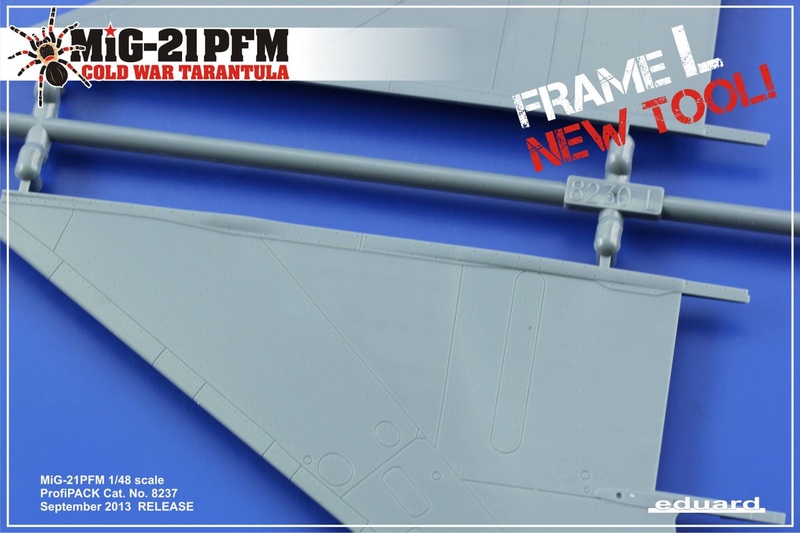 The focus of part the team at Eduard has now shifted from the Spitfire to the new MiG-21PFM in 1/48th scale. This is the next evolution of the preceding third generation versions released, and incorporate wide ranging changes that focus largely on the airframe. 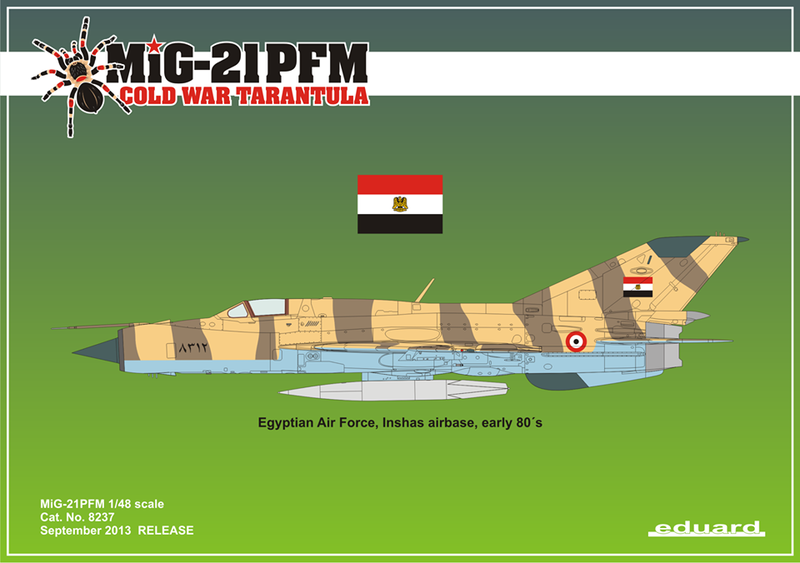 The second generation MiG-21 project was expanded to include other variants, first of which will be the MiG-21PF. 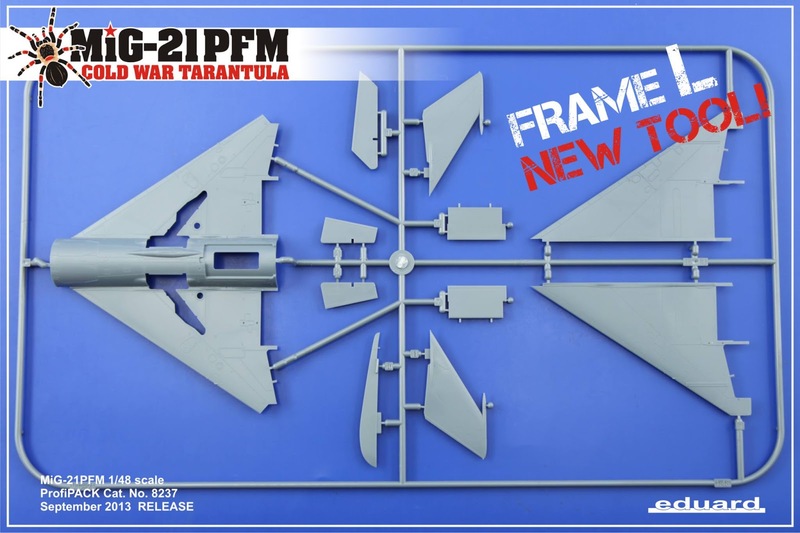 This will again include a new fuselage and wing, a new fin, a new canopy. 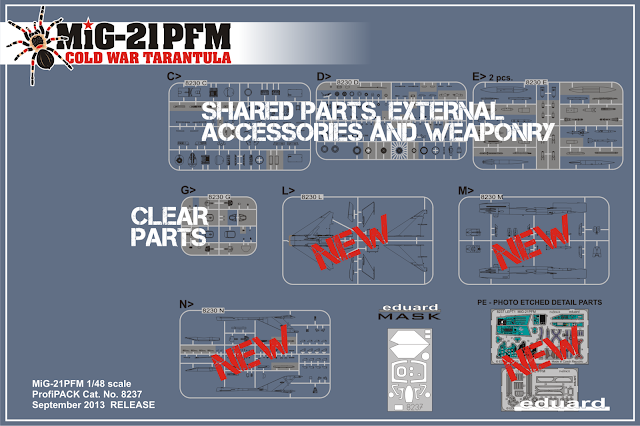 As fans of the Fishbed will no doubt be aware, the PFM and PF were considerably different aircraft. The PF, and subsequent versions, are not slated for release until the following year. A short video to get you up to speed! 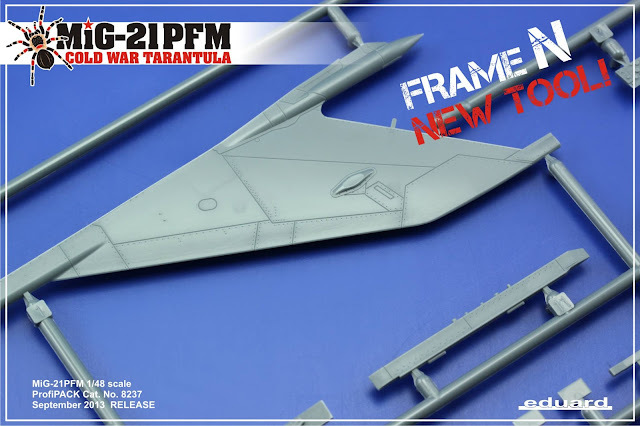 The model has a new wing and fuselage to represent the second generation MiG-21 that had first and foremost, a different fuselage spine arrangement. 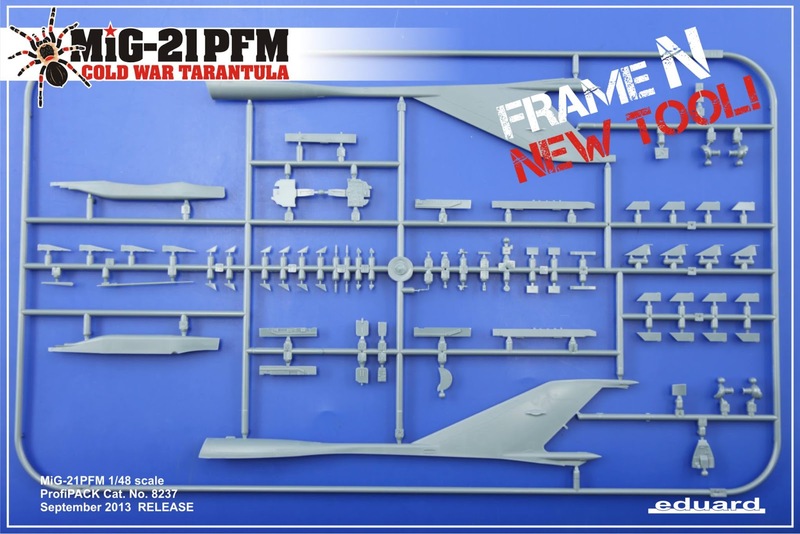 There are also new interior details with a new instrument panel, and a list of external parts, such as the GP-9 gun pack or the twin hard points for 2 x 2 R-3S missiles, used by the East Germans and the Poles. 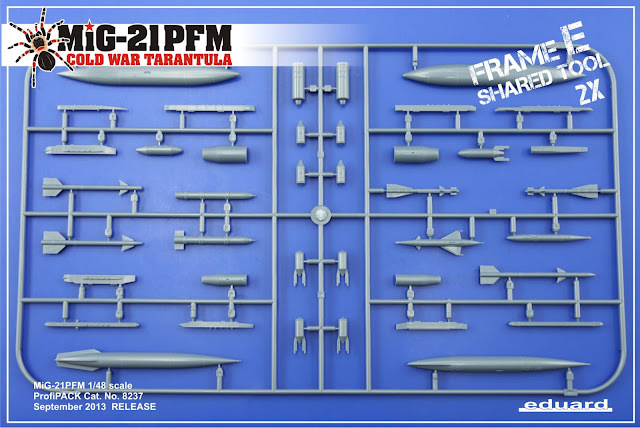 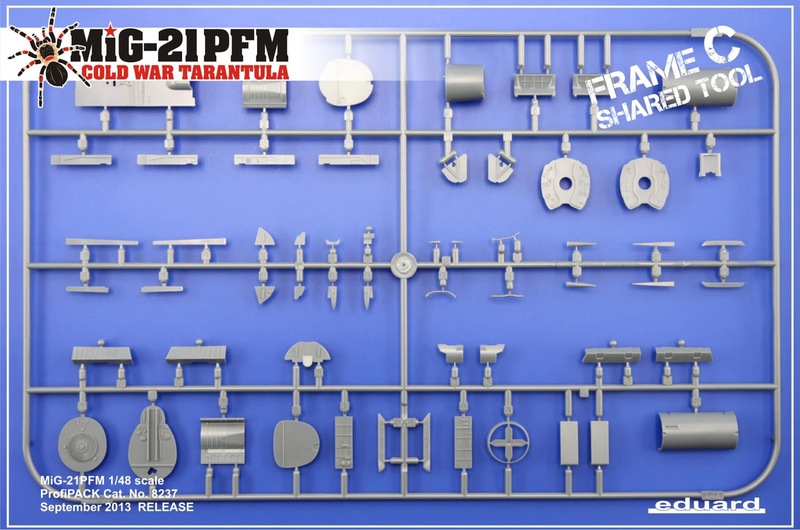 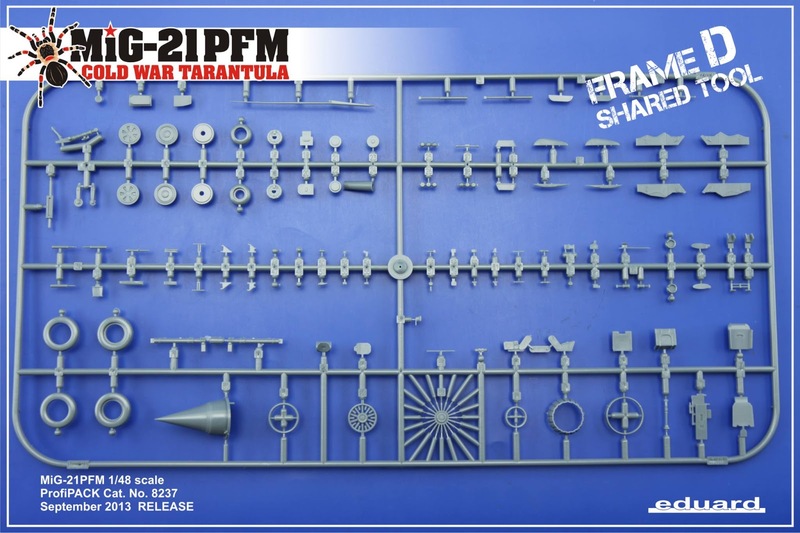 There are three completely newly tooled sprues covering the entire plane body (fuselage, wings, tail section) – there are of course “shared parts sprues“ that were already used on MF, SMT and BIS kits – these contained parts significant for the PFM as well. 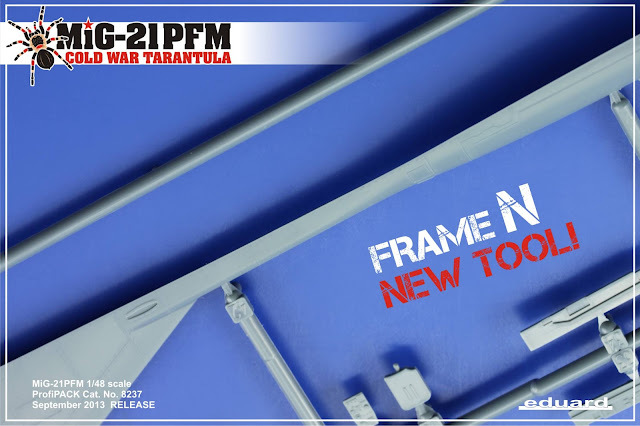 You are getting an all new PFM!!!. 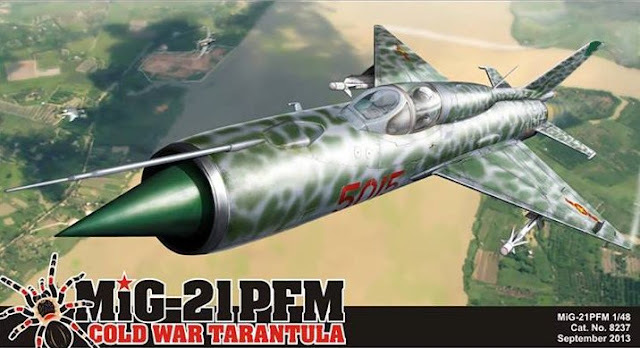 The MiG-21PFM’s also saw some combat in their day, and their biggest claim to glory is without a doubt the war in Vietnam as equipment used very effectively by the North Vietnamese Air Force. The Vietnamese MiGs also carried typical camo schemes and often kill marks below the cockpit, and, as such, you can be certain that these will not be missing from the marking options. 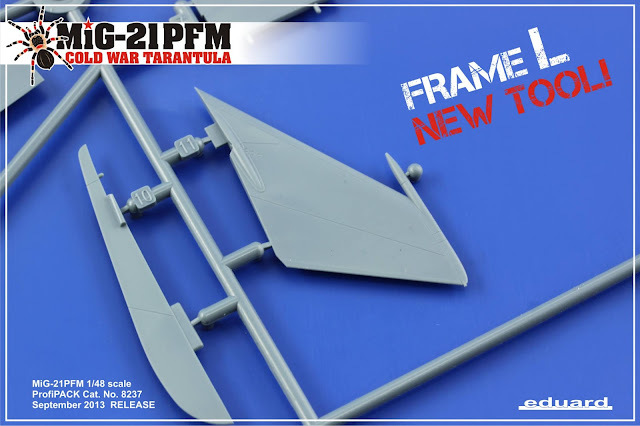 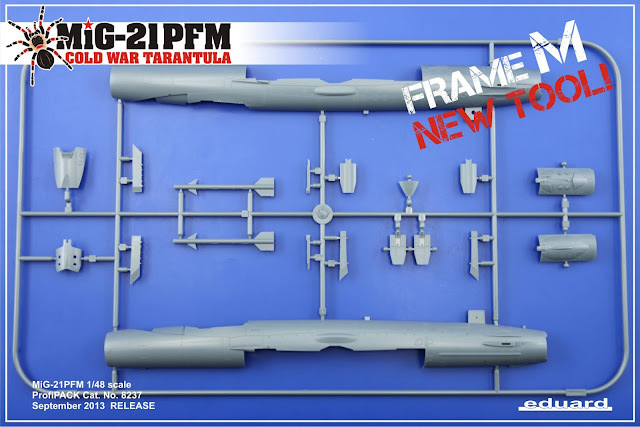 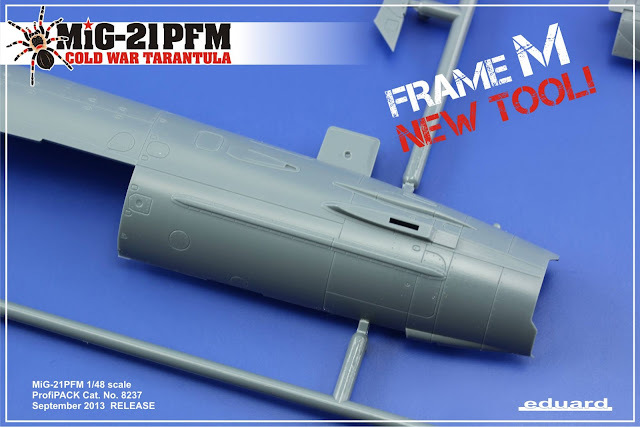 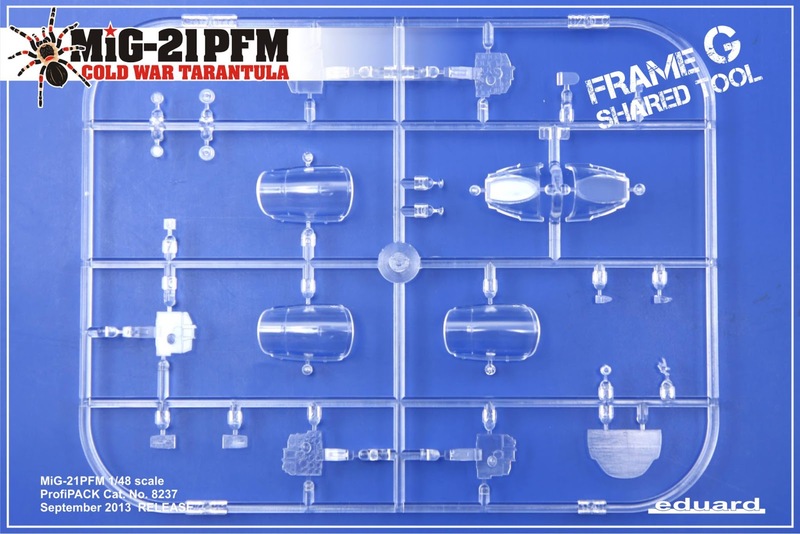 This kit is slated for September release – so not long to wait now – keep up to date with Eduard’s releases on their website..